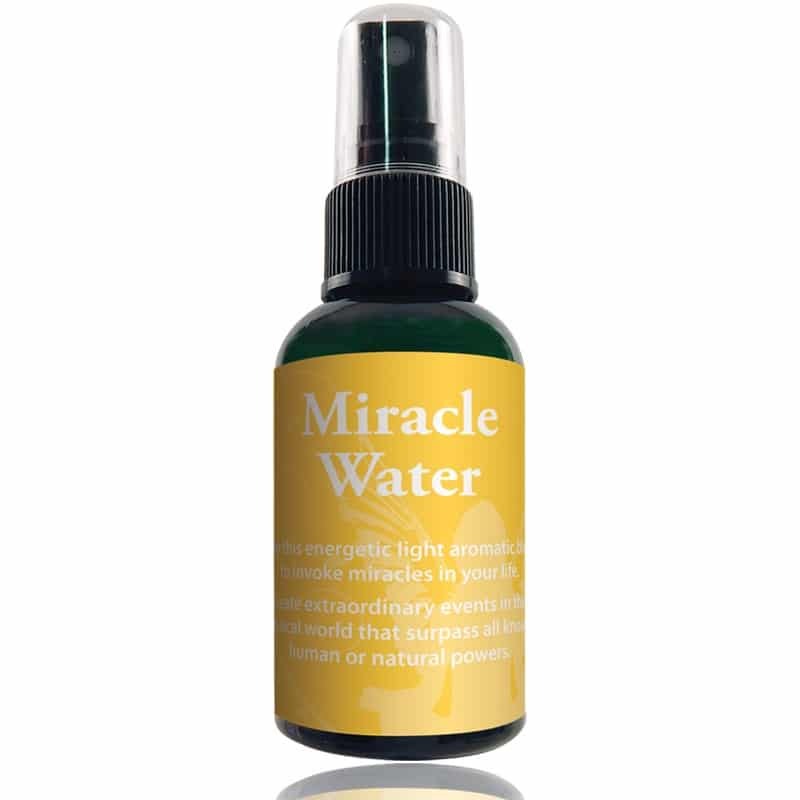 Spray this energetic light aromatic blend to invoke miracles in your life. 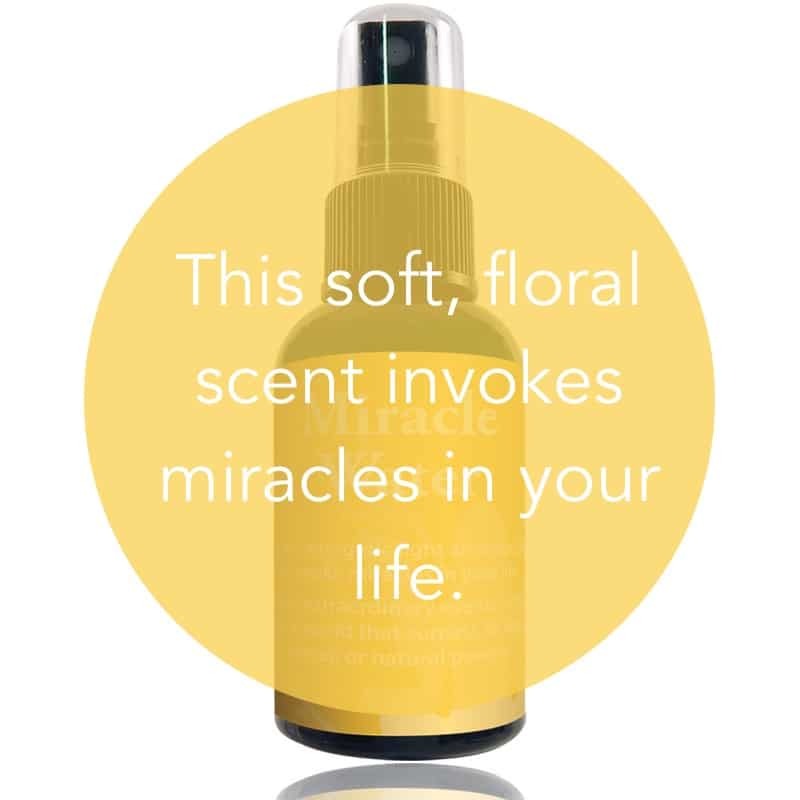 Create extraordinary events in the physical world that surpass all known human or natural powers. 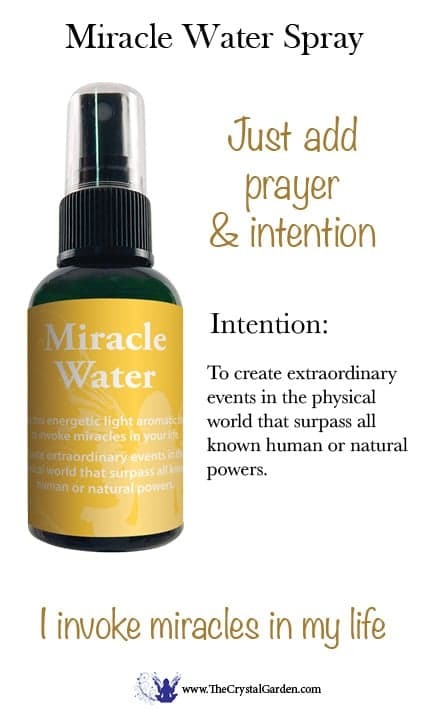 ADD PRAYER and INTENTION. Ingredients: Water, Proprietary Blend of Medical Grade Essential Oils; Holy Waters from around the world; Sacred Site Essences from around the world; Bach Flower Essences; Genstone Tinctures; Vibhuti; Crystal Clays; Aura Soma. With prayer and intention this light energetic mist can invite the miraculous into your life.